Debora Krizak | DRTV Talent. Direct response television talent. Female and male talent for your direct response tv campaigns. 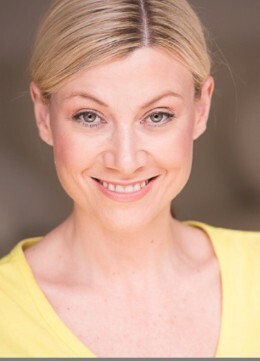 Debora Krizak is an accomplished performer, having completed a Bachelor of Arts Degree in Performing Arts as well as a post graduate degree in Journalism from Sydney’s UTS. Working professionally from the age of 17, she began her career at Triple M Radio as a voice over artist for TVC and radio. This soon branched out into a career in television, when Debora was offered the role of presenter for Network Ten’s national children’s program “The Music Shop”. 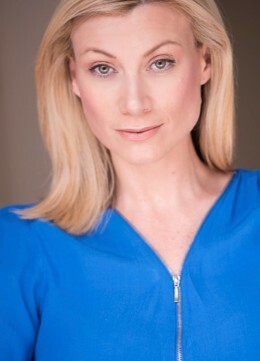 As a trained singer and actor, Debora’s career is diverse. From touring cover bands to singing the national anthem for Channel Nine’s live coverage of the NRL, Debora has performed at events such as The Adelaide Grand Prix, The AFL Breakfast and on board the P&O Fairstar to name a few. Highlights include being selected as a featured solo performer for the Para-Olympic Torch relay celebrations, the AAPT Tennis finals and the Le Mans Race 2000 – with a televised audience of over 2 million world wide. In 2004, Debora launched into professional musical theatre after being offered a role in the Australian Premier of the new Mel Brooks’ musical – “The Producers” where she performed in the ensemble as well as understudying and playing the role of “Ulla” on numerous occasions. In 2007, she portrayed the role of ‘Madame Aubert’ in “Titanic The Musical” which played at Sydney’s Theatre Royal and then went on to be seen in “Respect The Musical” as the title role of ‘Dodie’, where she understudied the incomparable Rhonda Burchmore. Most recently Debora won the role of “Elaine” in Tim Firth’s stage adaptation of “Calendar Girls” for the Gordon Frost Organization as well as playing the role of femme fatale “Gina” in Brisbane Festival’s “Shanghai Lady Killer”. She has also worked for International Concert Spectaculars hosting various shows including ‘Bob the Builder’, ‘Bananas In Pyjamas’ and ‘The Wiggles Live Shows’. Vocally, her screen credits include animated voices for the Australian film ‘Napoleon’ as well as Kindergym Australia in which she provided both sung and spoken roles for the soundtracks. A recognized face through her live and TV work, Debora’s presenting experience has seen her once again working for Channel Ten as a prize presenter on the television series “Battle of the Sexes” after becoming runner up in the Miss Australia/Universe quest in 1997. Other television appearances include ‘Good Morning Australia’ with Bert Newton, ‘Ernie and Denise’, ‘Live and Kicking’ and the 2004 Logie Awards. Her talents also extend to various television commercials and advertorials for campaigns such as New Idea, Movieland, Mitsubishi, Home Hardware as the comic’know-how’ girl “Helga”, and a worldwide release of a series of KFC advertisements playing the role of Mrs. Rich. In addition to that, Debora was the regular product presenter and movie reviewer for Village Roadshow Promotions on AM Adelaide. Corporate presenting jobs include COMMONWEALTH BANK’S in-house TV staff training program as well as regular MC work for Westfield shoppingtowns for their season’s launch fashion parades and for Star City as their in-house promotion MC. Debora has also featured on FOX 8’s “ROAD TO ROCKSTAR” as one of four Australian girl finalists in the world wide search for a lead singer to front ROCKSTAR SUPERNOVA, airing July 2006. 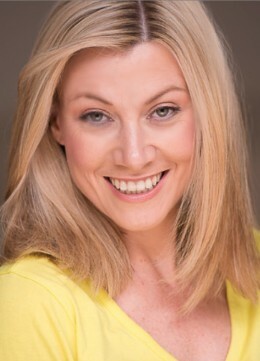 Aside from being an established presenter, actor and voice over artist, Debora is also an author, having penned her first book “How Would You Like Your Eggs” – a story about motherhood and fertility, due for world wide release later this year, after signing her very first publishing contract!